If there's one thing that Disney is really good at these days, it's recognizing a winning formula and sticking to it. That mindset is on display on the big screen as they continue to churn out hit after hit for their Marvel, Star Wars and Pixar franchises and it's becoming increasingly clear that they are subscribing to that same philosophy on the small screen. This week's DVD offerings provide us with two great examples that interestingly bisect with my family perfectly. First up, is Elena of Avalor: Ready to Rule which is the latest animated princess show targeted at young girls in the hopes of extending the Disney brand beyond the traditional princesses. As the father of a five-year-old girl (five?!? When did that happen? ), I'm quite familiar with Disney's success in this area as my daughter is a massive Sofia the First fan. For Sofia, the hook was a commoner princess who is basically a fish out of water when her mother marries the King, thus making her a princess. 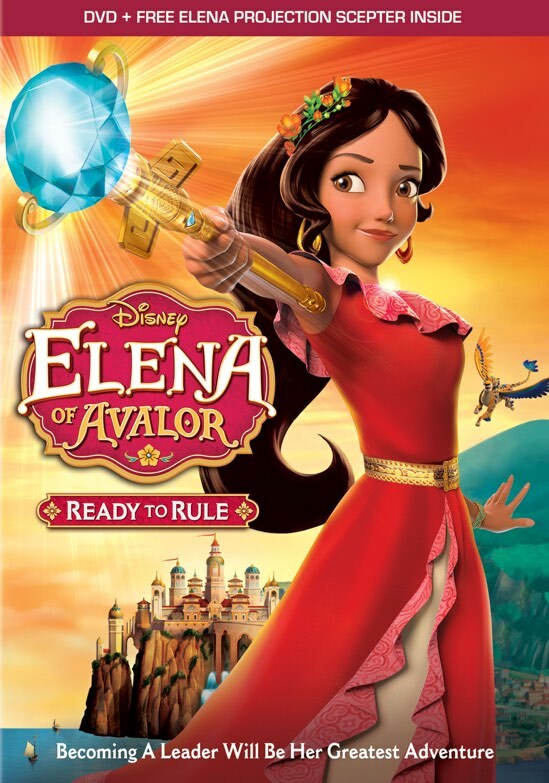 So, I wasn't surprised when, this year, Disney created a spin-off/backdoor pilot for a new animated princess Elena. For the first time ever, Disney is extending their brand to include a Latina princess which it not only a solid business decision to cater to an ever-growing viewing demographic but also opens up so many wonderful cultural stories. My daughter absolutely fell in love with Elena and it's no surprise because her story has been given the attention to detail that Disney is famous for. Not only that, but my daughter's preschool class is learning a bit of Spanish and for her it was a real treat to hear the words that she learned in class show up in a Disney cartoon. Elena of Avalor: Ready to Rule is a compilation of the first four episodes of the series and is a great introduction to Disney newest princess. In a weird twist, the series debuted before the cross-over pilot in the United States, but you shouldn't be too worried because the first episode spends a good two minutes setting up the entire premise of the series. While the DVD offering this week only includes four episodes, it does come with an Elena Projection Scepter that lights up and projects on the wall. My daughter wears it as a bracelet around her wrist and never passes up the opportunity to show her friends (and complete strangers) how it works. This offering is a perfect holiday gift for the young Disney princess in your life as they will want to watch these episodes over and over again. I'm pretty sure that my daughter is well on her way to wearing out our DVD.